She can travel in time and belt out a Christmas carol. 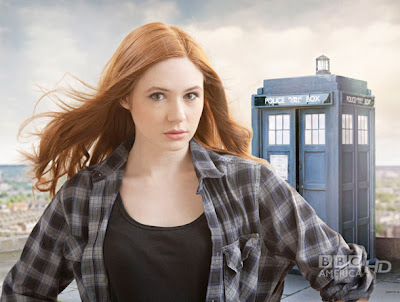 Photo of Karen Gillan from Doctor Who website. 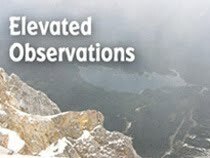 First of all, I’d like to wish all of those who visit this blog a very happy holiday season and a wonderful coming year. Who Needs Ghosts Of Christmas Past, Present, And Future When You’ve Got A TARDIS? Bangles Coming Back. According to a Bangles podcast that can be accessed through the band’s official website, the gals will soon be releasing a 45 vinyl single as a teaser for their upcoming CD. Matthew Sweet has been helping them out with the recording of the songs. Why Don't We Do It In The Road? The Red Eye newspaper in Chicago reported today that Britain has officially designated the pedestrian crosswalk by the famous Abbey Road Studios as a site of national importance. Abbey Road was one of the places my wife Pam and I visited on our trip to London a few years back, and I nearly got run over trying to pose in the middle of that intersection. Matt On The Mend. It was inspiring seeing Colleen Mastony’s piece on musician Matt Leone in last Sunday’s Chicago Tribune, saying he’s doing a little better these days. Leone, a member of the Chicago band Madina Lake, suffered serious injures when he came to the aid of a woman being beaten by her boyfriend. Mastony’s article describes Leone’s courage as well as the amazing love and support he’s received from his brother and fellow band member, Nathan. Members of the local music community have held benefits to help Leone pay his medical bills. Let’s continue to keep him in our thoughts and prayers. Himmelman And The Hum. Singer-songwriter Peter Himmelman will be coming to the Chicago area for a show at SPACE in Evanston on January 13th. Himmelman is on tour in support of his latest CD, The Mystery And The Hum, which he recently recorded over a two-week period at a Minneapolis studio. The show starts at 8:00 PM. Lamb Art. Sometimes I wonder if I really need to subscribe to so many email newsletters, but as Forrest Gump once said, you never know what you’re gonna get. For example, a recent post from Thrillist London casts a spotlight on Manchester-based artist Ben Lamb, who does some really cool rock and roll art. His poster for the offbeat and charming singer-songwriter Dawn Landes is a prime example of his compelling work. Lamb’s portraits of other musicians, such as Elvis Presley, Johnny Cash, the Gallagher brothers from Oasis, and various rap stars can be found on his Illustration & Design website. His prints are available through Rough Trade. Free New Wave Music. Paskey, a Chicago-based musician who creates new wave style tunes based on keyboards and hushed vocals, is offering his latest single, “Be Still Tonight” as a free download. The song, which features Kelli Nicole Hardman on backup vocals, is a preview of his upcoming EP Temperance and Temperatures. The Trout Tapes. Bassist Gordon Patriarca is a veteran of the Chicago music scene who’s played in a variety of groups, such as the power pop influenced The Hotheads; the new romantics styled Brisance; the rock/blues outfit The Griff Band; and the Cajun-flavored The Remainders. Patriarca recently posted on Facebook that he’s been remastering “a boatload” of live material from his days with the new wave band, The Trouts. Hopefully, we’ll be hearing more about that in the near future. Black Leather Jackets And Warm Woolen Mittens. WXRT air personality Tom Marker noted recently on the station’s blog that The Ramones will be among the Grammy’s 2011 Special Merit Awards recipients and Lifetime Achievement honorees. Julie Andrews is also on the list. Sharing The Covers. Celebrity Salon will present Honey, Gimmee The Covers!, a multi-act showcase at its hair salon in Evanston on January 22nd, from 6:30PM to 11:00 PM. WhiteWolfSonicPrincess, The Telepaths, Jan King & Medicine Ball, Mr. Mo, and Famous In The Future comedy group member Tina Teske are among those scheduled to perform cover versions of various rock songs. Celebrity Salon is located at 1041 Chicago Avenue, #8 in Evanston. He’ll Be Home Just After Christmas. Rich Cotovsky returns to his home base at the Mary-Arrchie Theatre on January 3rd, after spending a few months in Washington, D.C. performing in the Tracy Letts play, Superior Donuts.